So I've been eating really horribly lately. Like really horribly. I've been making all these baked goods and mm everything was so yummy! So today I made a green smoothie. Ok so here's the truth. I really like spinach. I was the only kid in my family who would eat it growing up. Now my sister and I both like it. Just waiting for my brother to jump on the bandwagon. When my brother was little, he would not eat anything green. He'd even pick off the little basil pieces off his cheese pizza. When he came home today and asked me what I was drinking, he definitely didn't want to try it. 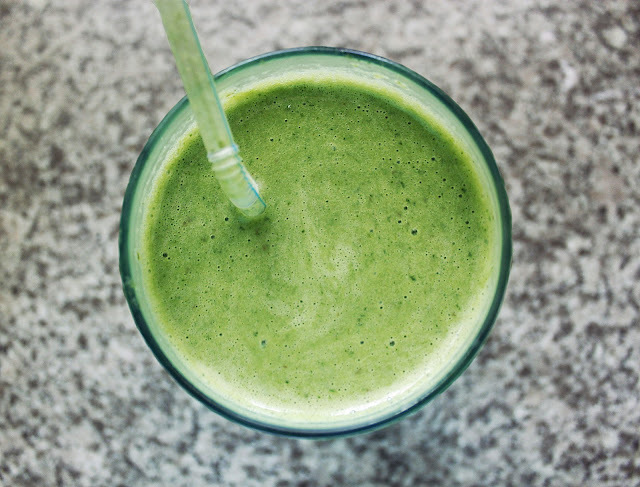 Well this smoothie definitely doesn't taste like kale or spinach. You can thank the pear and banana for that! Remove the kale leaves from the thick stalk and coarsely chop. 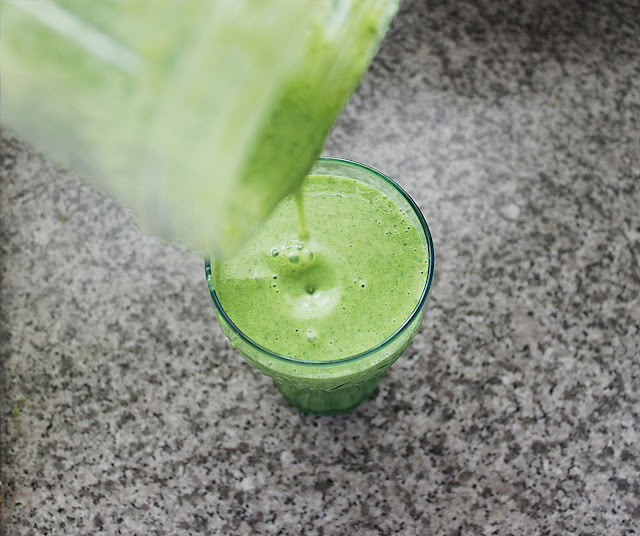 In a blender, combine the spinach, chopped kale, and milk. 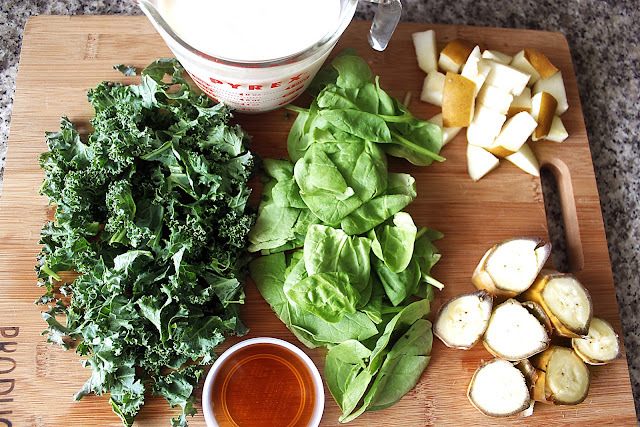 Blend until there aren't any big kale chunks. Then add the pear, banana, and honey. Blend until smooth. Enjoy! I'm a 21 year old college student living in San Francisco. I like coffee, cats, dogs, blogs, clothes, hair bows, makeup, neutrals, vegetables, helvetica neue, and the oxford comma.